The question of whether you should take the do-it-yourself approach when installing a lift kit on your Toyota Tacoma or whether you should engage the services of an experienced professional is one that comes up often amongst pickup owners. For some people, it’s not even a debate – they would never, ever let anyone else lay a wrench to their truck. For the rest of us who might not consider ourselves mechanical geniuses, but who do have the basic skills required to get the job done, the question is a little more nuanced – and confusing. Uh oh – What are you going to do with all of that? Financially, at first glance it might seem like not having to pay a pro to work on your truck can save you substantial money. The reality is sometimes quite different. Not all kits are plug-and-play, with some requiring drilling or cutting of suspension components and truck frames in order to properly install. 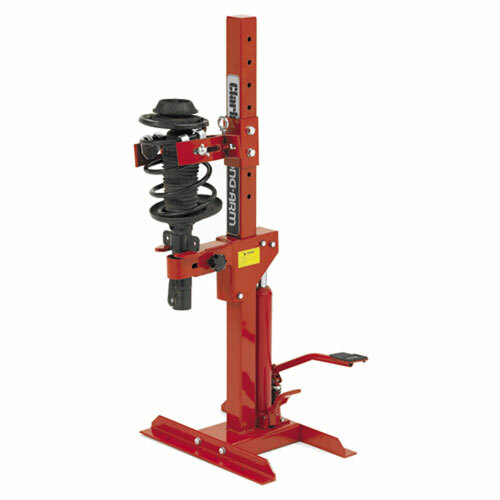 Others require spring compressors or other special tools in order to pull out steering knuckles, ball joints or drive and steering shafts, depending upon how tall or aggressive your kit might be. Buying or even renting these tools can quickly eat into the money you thought you were saving by avoiding a professional. If you don’t have one of these in your garage, you might want to reconsider messing with your coilovers. Then there is the question of your time, which almost certainly has value. If you have never installed a lift kit before, don’t assume that you can easily match the estimated length of install provided by the manufacturer. It’s human nature to make mistakes, or to occasionally be puzzled by what the instructions are asking you to do, and you should budget for at least 50 percent more hours than what’s written on the box. Some instructions also assume that you have access to gear like a lift which can dramatically shorten installation times. Keep in mind, too, that if your truck is your only ride and you have its suspension in pieces on your garage floor, it can add an extra layer of stress to the discovery that you are missing an important tool or that you have run out of daylight and have to break for the night. 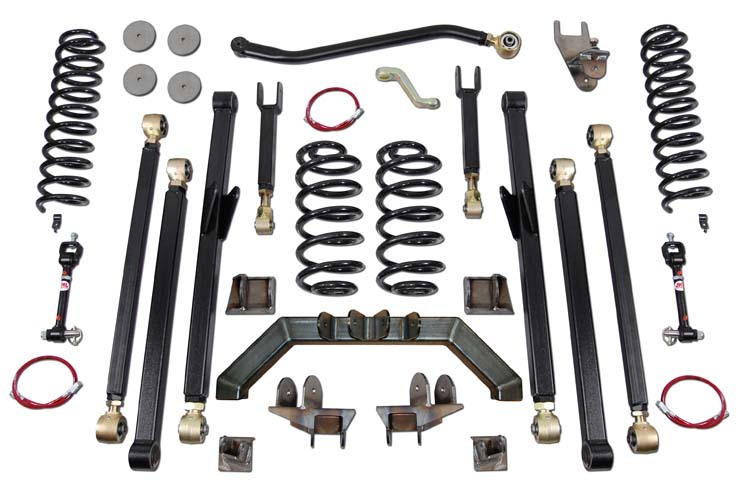 Moving beyond basic lift kits consisting of blocks and spring replacements, the amount of work required to install a very custom solution such as a solid axle swap or a full-on long travel setup can pose problems that only an experienced suspension professional can handle. There’s nothing more frustrating than being stopped dead in your tracks without the ability to fabricate the fastener or bracket that you need. The bottom line when it comes to installing a lift kit on your Toyota Tacoma? Unless it’s as easy as removing some U-bolts and slapping in a couple of blocks to raise up a sagging rear suspension – or unless you’ve got previous experience or a strong sense of confidence in your mechanical abilities – it is almost always a good idea to head to a trusted mechanic. When you consider all that can go wrong, and how stuck you might be with a truck that is nowhere near drivable, professional help just makes sense. Also, don’t forget: After even a mild lift you are going to need to visit an alignment shop in any case to make sure that you don’t eat up your tires while enjoying your new ride height. If you can get everything done at once, it can save your time and headaches. Keep in mind too that you don’t have to just drop it off and come back later when they are done – ask if you can hang around during the installation and learn from what he or she is doing to your truck. Not all shops allow customers on the floor (typically for insurance reasons), but if you can find one who does you might be surprised at how illuminating it can be to gain this kind of firsthand “shadowing” experience. Who knows – you might even gain the confidence to help out a friend of yours who is stubborn enough to insist on doing it themselves.